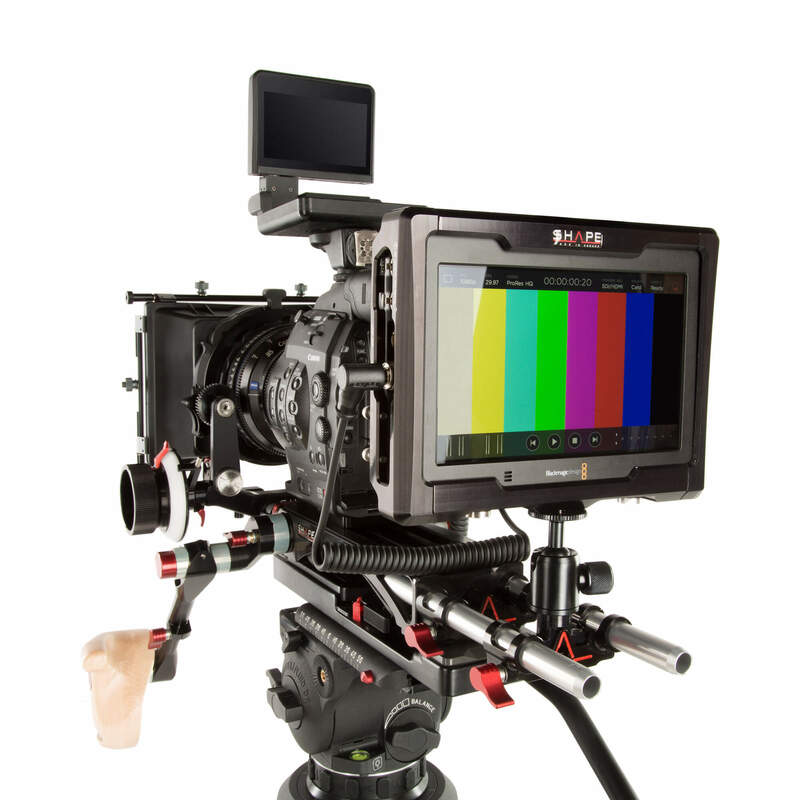 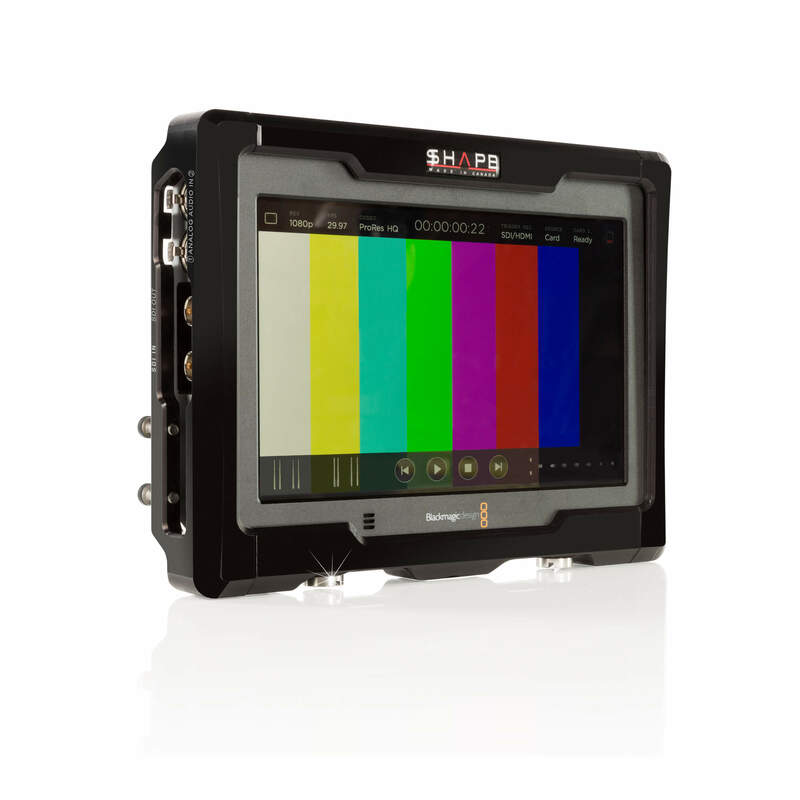 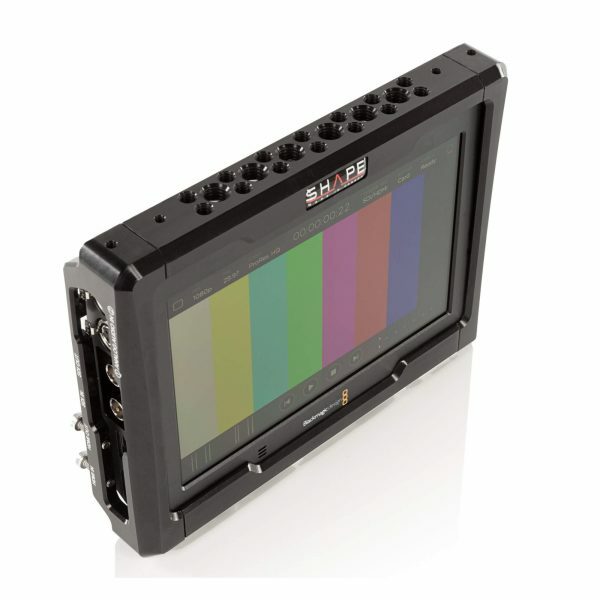 The SHAPE BMD 4K Video Assist Cage is compatible with the Blackmagic Design Video Assist 4K 7″ Monitor and also supports a line of SHAPE ICON accessories, such as the ICON Rod Bloc and ICON Director’s Kit with Handles. 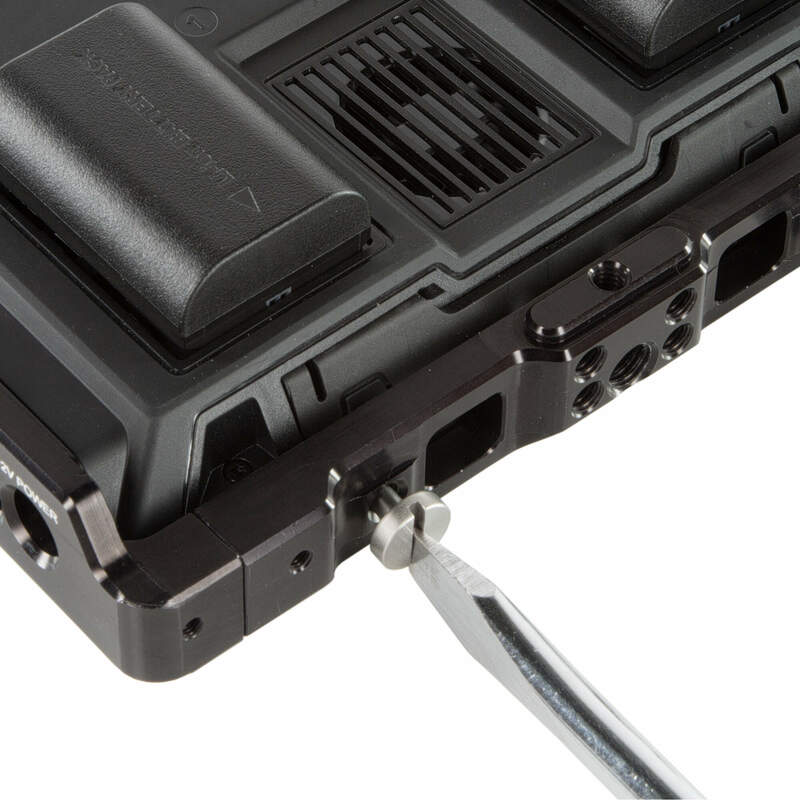 The Video Assist Cage leaves access to the monitor’s SD card slot and all input/output ports, and additionally features the names of all the ports marked in white beside them so you can find the right ones quicker on the fly. 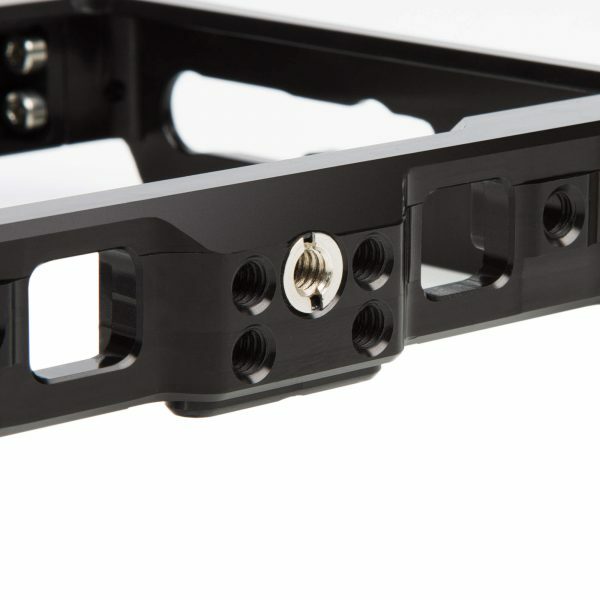 The Video Assist Cage is made of CNC aluminum and offers six 3/8″-16 and fourteen 1/4″-20 threaded mounting holes on the top, and a single 3/8″-16 threaded hole on the bottom for attaching it to various supports. 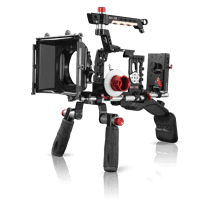 It also comes with a 1/4″-20 reducer for the 3/8″-16 hole on the bottom, expanding compatibility with virtually all support gear.